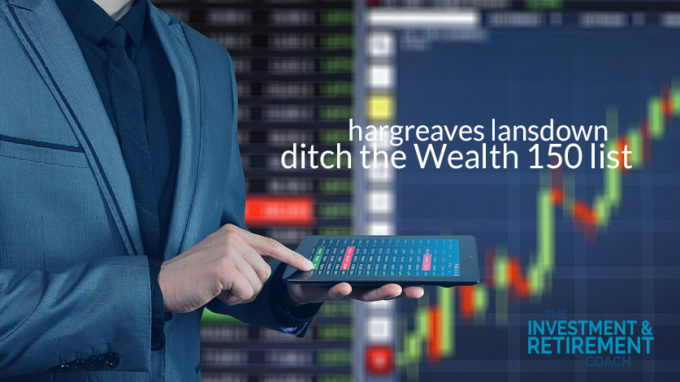 In a move which can only be for their own benefit Hargreaves Lansdown have ditched the Wealth 150 list and moved to a shorter Wealth 50 list of funds all of which provide fee discounts to HL clients. 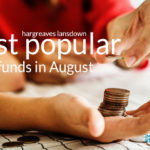 Whilst those discounts are welcome – and many were already available – they in no way compensate for the removal of access to the views of HL’s experienced investment research team in respect of so many other funds. The core investment strategy strategy I have always followed is to restrict my fund holdings to funds in the Wealth 150 list unless I can find a really compelling reason to hold another fund. The restricted list does not facilitate the building of either of a diversified portfolio or a portfolio aimed at a specific objective such as achieving a good level of dividend. Rather than making it easier for their core clients HL have made life far more difficult. I hope this is not a ploy to encourage more clients to use their expensive and profitable Multi Manager Funds or their fee charging Advisory arm. In my view it is absolutely essential for clients making their own investment decisions to have easy and practical access to HL’s considerable investment expertise. 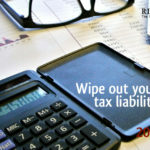 The Wealth 150 list provided that access in a very straightforward and user friendly way to a good selection of funds. I can see nothing in the comments from HL to suggest that their clients will benefit from this change and I can only therefore conclude that it has been made for their reasons which is extremely disappointing. I have been an HL client and supporter for many years and I really don’t want to doubt their motives, but for now that is the case and they will have to work hard to get me back to where I was before this change. 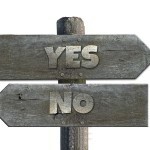 Over the next week or so I will be looking long and hard at how I am going to provide guidance on developing a new fund selection and monitoring process and I will report back as soon as I have the answers. As always I must point out that none of my views should be interpreted as personal advice and should only be taken as general guidance. 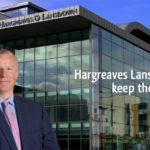 I have written directly to Hargreaves Lansdown expressing my disappointment and I would encourage all HL clients to do the same. 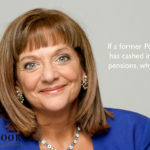 Having said that, since I first drafted this, I have discovered that most of the clients to whom I provide guidance only have one or two funds which were on the Wealth 150 list and are not on the new Wealth 50 list. If they wish to stick to a strategy of only holding funds on the Wealth list there are suitable alternative funds on the new list so the situation is not as bad as I first thought. I still think this move is not at all client friendly and I cannot accept that good funds should be excluded just because they don’t offer HL a fee discount. Do you have a simple, straightforward, and documented fund selection and monitoring strategy/process in place? You may make very good fund selections at the outset but in a few years the situation could be very different. Don’t just hope for the best. 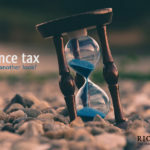 Talk to me, Richard Cook, and find out how my “Ongoing Guidance Service” can keep you and your investments on the right track. Text me on 07770 575122 or click here to send me a message.